FROUDE GILBERT CHARLES passed away suddenly on 9 April 2019, aged 97 years. Dearly loved husband of the late Joan. Beloved father of Neil and Karilyn, Glennis and Bruce, Carolyn and Gary, Alison and Eric, Alan and David, Derek and Barbara, Robyn and Alan, Sharon and Chris. Adored Poppa of Cherie and Dan, Anita and Duncan, Emma, Ben and Lisa, Darren and Michelle, Stephen and Kaori, Glenn and Jacqui, Nicola and Craig, Anna and Will, Lisa and Troy, Kirstie and Tori, and Tiffany. Big Poppa of Poppy, Esme, Max, Georgia, Kenji, Misa, Bryn, Arlo and Nina. Dearly loved brother and friend of Joan (deceased), Rona (deceased), and Shirley and Roy. 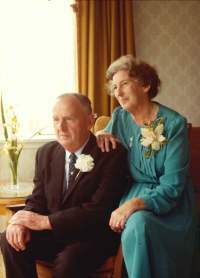 Messages to the family may be left on this page or posted c/- PO Box 14-366 Kilbirnie, Wellington, 6241. Gilbert’s funeral service will be held at the Cockburn Street Chapel, corner Onepu Rd and Cockburn St, Kilbirnie on Monday 15th April at 2pm. Thereafter private cremation.